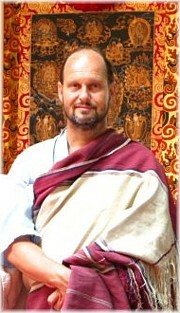 Erik Pema Kunsang is one of the most highly regarded Tibetan translators and interpreters today. Erik has been the assistant and translator for Tulku Urgyen Rinpoche and his sons since the late 1970s. He has translated and edited over fifty volumes of Tibetan texts and oral teachings, and is one of the directors of Rangjung Yeshe Publications. This page was last edited on 20 March 2012, at 09:16.